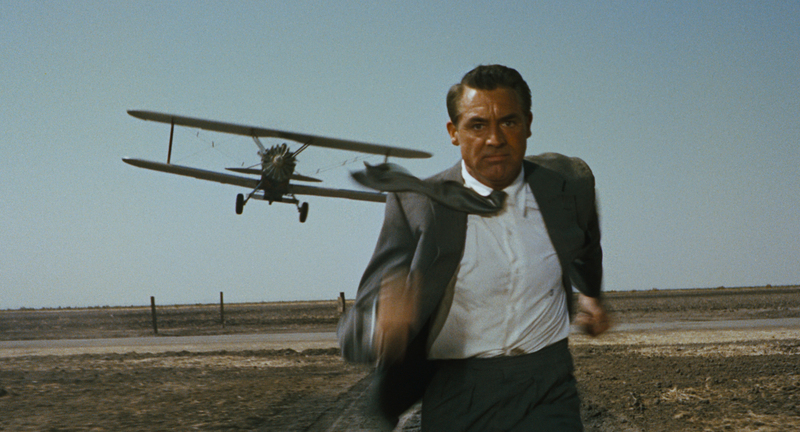 North by Northwest – Did You See That One? 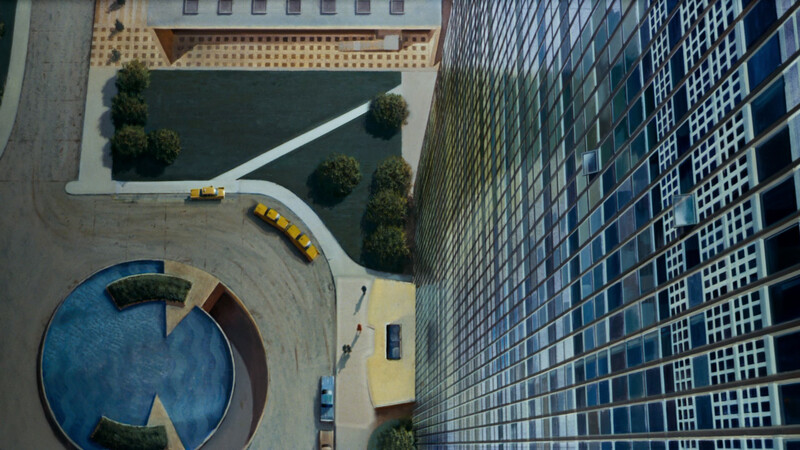 Roger Thornhill (Grant) is a self-absorbed ad man living in New York. Unfortunately, he’s been mistaken for an undercover government agent and kidnapped by agents of a mysterious foreign spy (Mason). After being framed for a crime he didn’t commit, Thornhill is on the run from the authorities and the spies. He’s hoping to find the man he’s been mistaken for and clear his name, all while fighting to stay alive. Legendary director Alfred Hitchcock (Rope) knows thrillers, and this is another great example. This movie came from the screenplay by Ernest Lehman (West Side Story), which was the result of brainstorming sessions between Hitchcock and Lehman. The two men had abandoned a previous story idea due to writers block, and their new project resulted in this movie. 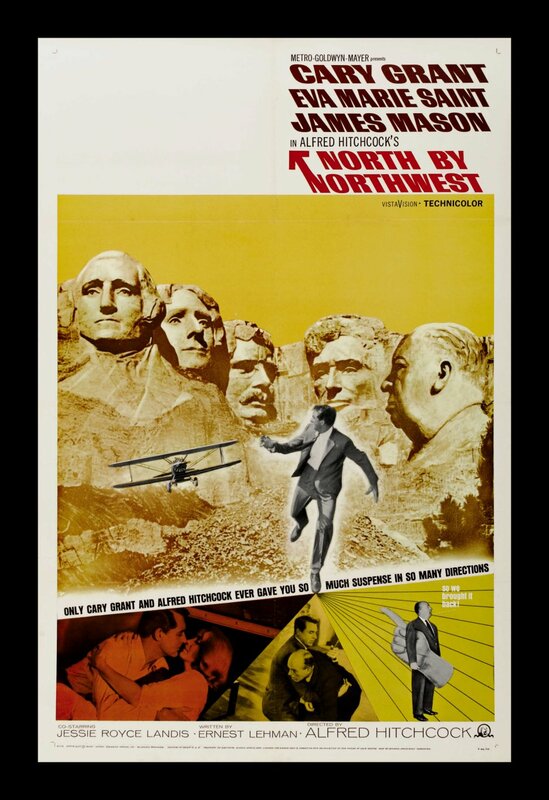 The film stars Cary Grant (Charade), Eva Marie Saint (On the Waterfront), James Mason (The Verdict), and Martin Landau (Ed Wood). The film earned three Oscar nominations including Best Set Decoration, Best Editing, and Best Original Screenplay. This story is a wonderful mix of suspense and drama, built around a fantastic story of intrigue and espionage. The spy story has been told many times, even by Hitchcock, but this rises above many others. This is mainly due to the unique nature of the story, with the many unexpected twists and turns. The writing also provides excellent dialogue for the characters. The banter between Grant and Marie Saint is wonderfully written to bring out sexual tension. This tension plays into other aspects of the story nicely. Instead of focusing on the minutia of the story, the finale seems to work with the characters themselves. Overall, this is a wonderfully written film. The acting in this one is exactly what you would hope for from such a talented cast. Cary Grant and Eva Marie Saint have wonderful individual performances that are complimented by the chemistry between the two of them. Grant does a nice job playing a man on the run, willing to do anything for survival. 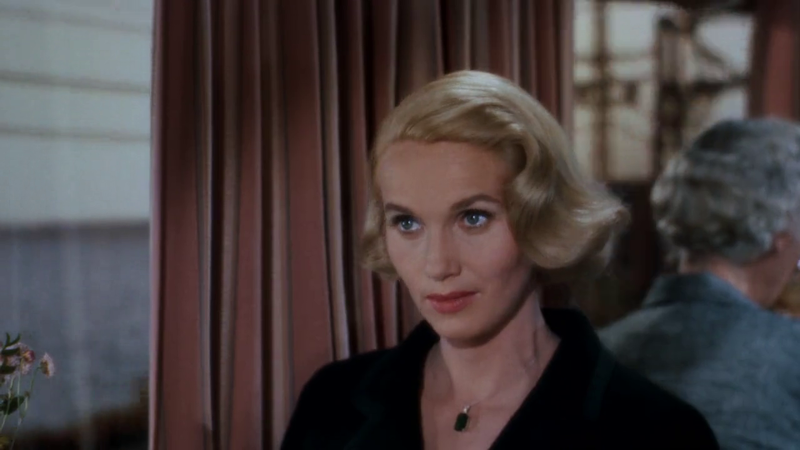 Eva Marie Saint is also good in her role, which often feels like a more complicated femme fatale. 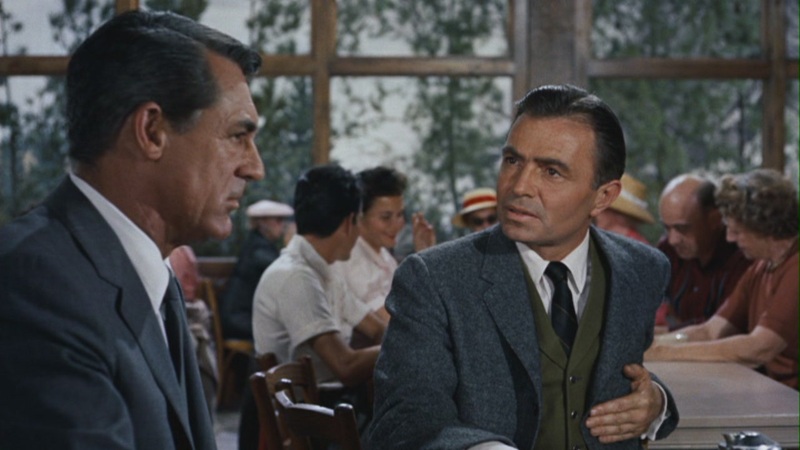 James Mason also does a wonderful job in his role as the international spy. Together with Martin Landau, the entire cast does great work in bringing this movie to life. The visuals in this movie are carefully crafted to help open up the world of this movie. 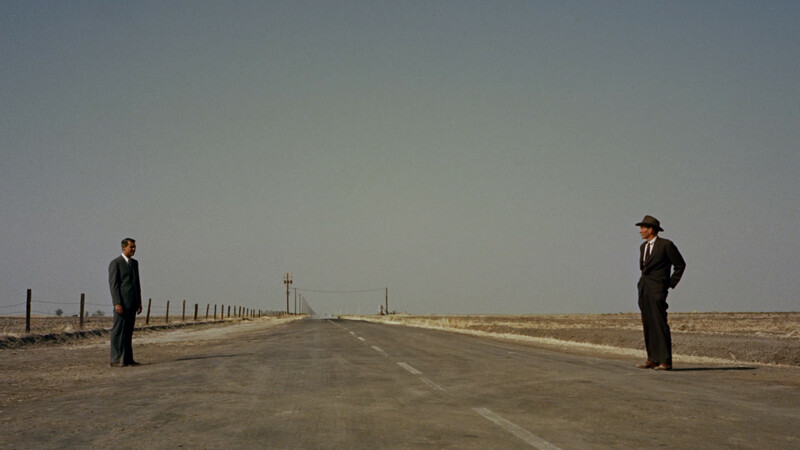 The story takes place in a number of different locations, and the sets and locations allow each of them to feel unique. This is thanks to a combination of great set design, fantastic camera work, and wonderful special effects. Like many of his films, Hitchcock did a great job using color to focus the mood of every scene. The end result of all these aspects is an awesome movie. Add in a score from Oscar-winning composer Bernard Herrmann (Citizen Kane), and you’ve got a great movie. Interestingly, the production of the film was done with VistaVision. this format was developed by Paramount, but this film was produced by MGM. This is one of two films that MGM made using the process. 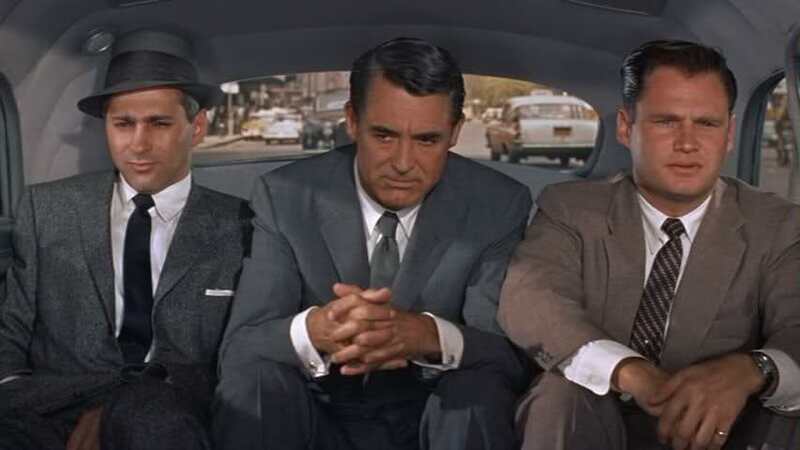 On another interesting note, the suit worn by Cary Grant throughout most of the movie has been regarded as the best suit in movie history. Many other actors and filmmakers have cited it as inspiration for suits worn by characters in other films. This is a great example of the great skill of Alfred Hitchcock when it came to thrillers. This movie has a great story and a wonderful cast. If you’re a fan of Cary Grant, Hitchcock, or anyone else involved, this is one to see. I would also suggest this to fans of thrillers or any films that have a lot of suspense. I give this one 5 out of 5 stars. Pingback: Sabrina (1954) | Did You See That One?